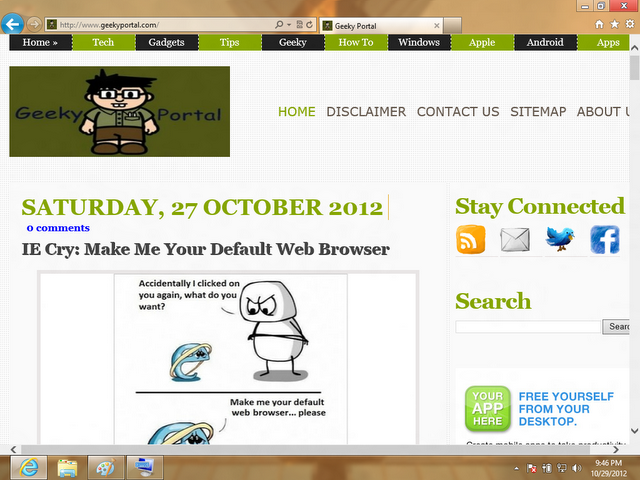 Internet Explorer 10 is undeniably one of the best browsing tools that people have experienced so far. However, the powerful browser offers some limitations employed by Microsoft for its newest piece of creation Windows 8 and RT. IE fans didn’t expected it to restrict Flash content other than approved websites by Microsoft. This may be kept as a security measure for users however, it has now turned as a major drawback of IE 10. Still Microsoft is good at supporting users need and therefore there is a simple way to add flash support to metro styled IE 10. Launch IE 10 from your desktop. Hit the Alt button from your keyboard to see the browser’s menu bar. Go to Tools> Compatibility View Settings. 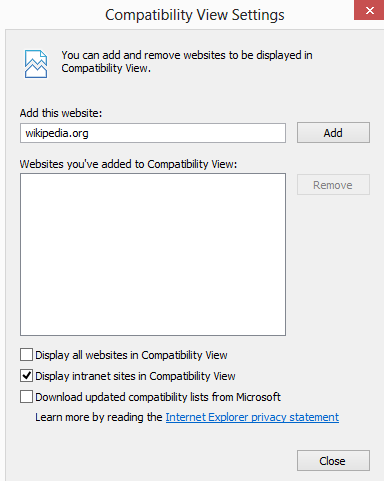 Uncheck the checkbox named “Download updated compatibility View Settings”. Open this XML file in a text editor for e.g. Notepad excluding the rich format editors like Word. And place <Flash> there. You can add several domains of your choice to run Flash on to the list and save it on to your system. DebugDomain is a string value that contains the domain server name for e.g. However, it should be noted that direct URLs of a Flash page or resource are not compatible as well as any value that contains “/” including http:// or https://. Hope this can help you add flash content for your favorite gaming websites on IE 10.